Today, November 20, 2018, marks the 4th month since launching the first Health and Beauty Products and Services Price Comparison in America, GetHealthyDeals.com. 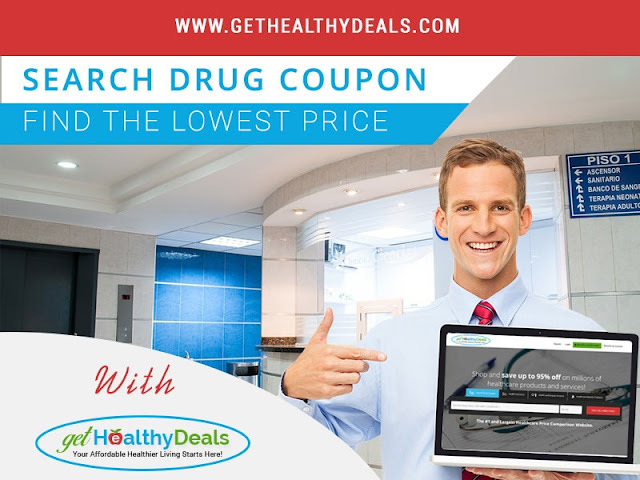 GetHealthyDeals.com started like every other successful website with a passion, mission, and vision to solve one of the world's greatest problems – healthcare. GetHealthyDeals intends to disrupt the $5 trillion health and beauty industry in America by transforming the way healthcare is delivered to millions of Americans. To be a platform that will help millions of Americans gain access to quality healthcare that is affordable and accessible to all and to do this by aggregating the prices and deals of millions of healthcare products and services such as prescription drugs, health insurance, and various beauty products and services from thousands of businesses. 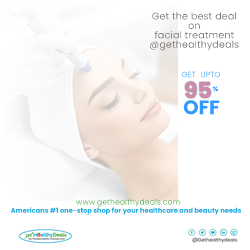 Since GetHealthyDeals is the first, our vision is to be the number one and the largest one-stop shop for people looking for quality in affordable healthcare and beauty products and services. The journey of GetHealthyDeals started about one year ago with a $2000 gift from a family member after a 30-minute phone conversation discussing the idea. The journey wasn't an easy one. Since I am not a developer and have no idea of how the simplest website is created, my first task was to look for developers. After one week of googling and surfing the web I eventually found one through Upwork. The developer and I spoke for days to understand the scope of the project, and after realizing the complexity and the time required to build the website, he gave me a budget that is way over my entire savings. After seeing this budget, I told him that I would get back to him but I know within me, I can't afford that kind of money. For weeks, I was down but my instinct keep telling me that I can achieve my dream; but how, I don't know. In January 2018, I went back to re-post my project again on Upwork and after just 2 hours of re-posting, a developer contacted me from India and we scheduled a Skype meeting within a week's time. During our meeting he said, and I quote "I don't want to disappoint you, this is a great idea, I will introduce someone to you who is more experienced than I am". Days later, someone buzzed me and introduced himself as Sajid, saying that he got my contact from the previous developer and that he will be the one that will be helping me to develop my website. We discussed the scope of the project and we scheduled another day for him to give me a budget for the project. As usual, he gave me a budget that I cannot afford, but this time I am determined not to give up. I struck a deal with him that I will pay him part of the money and the other part will go to him having some stake in the business. He agreed immediately. With the $2000 gift from a family member and after emptying my balance in all my 5 credit cards and few savings from my meager salary (which I am still using to date to fund the improvements and maintenance of the website), GetHealthyDeals.com was born. • Geolocation Tool: That helps users locate the nearby health and beauty services such as clinics, hospitals, gyms, spas, Nursing homes etc. Traffic: Over 5,000 unique visitors with no money spent on marketing, just social media, word of mouth, whatsapp etc. This places the value of the website and app at over $5 million (based on research with different studies showing that an average American spent at least $400 on health and personal care and beauty product per month i.e with an average visit on the website per month 1,500 for now is 1,500 X $400 = $600,000 per month and for a year to be $600,000 X 12 = $7,200,000). • Traffic: To be the most popular price comparison shopping sites for health and beauty products and services by the number of unique visitors in a day, week, month, and year. • Database: The largest database of people searching for healthcare and beauty products and services in the world. • Products: The website with the largest healthcare and beauty products and services available anywhere. • Revenue: The biggest online store for health and beauty care products and services in terms of revenue generated (I am willing to discuss the different ways on how we intend to generate revenue with interested investors). Resources: With only one full-time staff, we will need to add more staff to achieve our goal to be the number and the largest health and beauty care price comparison website. Website: Improve and enhance the website and app by enlarging and optimizing our database, along with regular and continuous monitoring and enhancement of the website and app. Marketing: Increase our marketing capacity in order to reach our goal of 100,000 in 3 months and at least one million in a year (I am willing to discuss the strategies to get to this number with interested investors). I understand that the ultimate goal of any investor is to make money. GetHealthyDeals.com, as the first and only targeted price comparison website for health and beauty products and services in America, has no competitor; therefore, it has a competitive advantage over any other website. With over 5,000 users in only 4 months of web presence before marketing, GetHealthyDeals can be valued at over $5 million (based on research with different studies showing that an average American spent at least $400 on health and personal care and beauty product per month i.e with an average visit on the website per month 1,500 for now is 1,500 X $400 = $600,000 per month and for a year to be $600,000 X 12 = $7,200,000). The potential is strong. As they say, numbers don't lie, These are some of the numbers that show how the health and beauty business is very profitable in the United States. • US Healthcare Spending:The US healthcare spending increased 4.3% to reach at least $3.3 trillion in 2016. Add the health and beauty market at $1 trillion for a combined market of $4.3 trillion in 2016. • Health and Personal Care: Over $300 billion is spent in a year on health and personal care, making it the second-largest retail category in the US behind groceries. 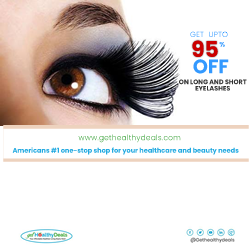 • Health and Beauty Products: Over 30% (100 million) of Americans shop online for health and beauty products. • Prescription Drug Use: 7 in 10 Americans use at least one prescription in a day. • Prescription Drugs: 45% (1 in 2) Americans can't afford their prescription drugs even with health insurance. • Health insurance: Private health insurance spending increased by 5.1% to reach $1.1 trillion in 2016 (1 in 5 Americans don't have health insurance). • Health and Beauty Products: An American woman spends about $8.00 per day on her face. On average, women in the United States will spend up to $300,000 on beauty products in their lifetime. • Out-of-pocket spending: over $352.5 billion was spent on out-of-pocket spending. Once again, GetHealthyDeals was created to help Americans gain access to quality healthcare that is affordable and accessible to all. I believe that a healthier and happier population makes the world a better and safer place. Thank you for taking your time to read this letter and please help my dream in helping millions of people live an affordable healthier life a reality. As Yoko Ono a renowned songwriter once said “A dream you dream alone is only a dream. A dream you dream together is reality"
My name is Dr. Babajide "Jide" Sadiq, I have over 15 years of experience in different areas of public health. I have a Master's degree in Public Health from the Florida State University and a Doctoral degree in Public Health from the Florida A&M University.